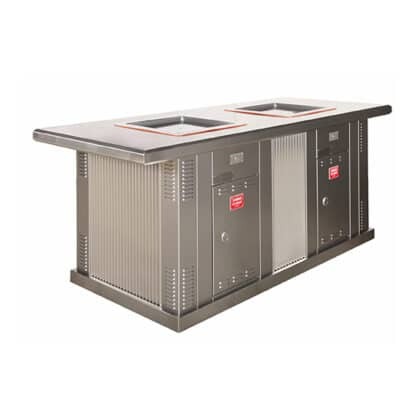 The Matilda double stainless steel standalone cabinet with double BBQ is fitted with two patented electric Greenplate® Inbench BBQ units and comes fully assembled for ease of installation. Optional Powder Coating is available. Each individual barbecue unit requires a single 10 amp circuit with a 20 amp RCD/MCB in the sub board. There’s no doubt Greenplate’s eco friendly sustainable BBQs are an environmental breakthrough. 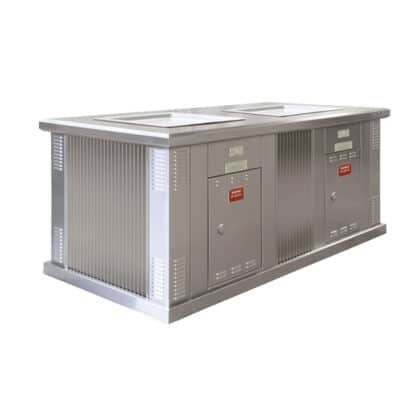 They are designed to provide considerable savings over the life of the product through efficient energy consumption and lower installation costs. 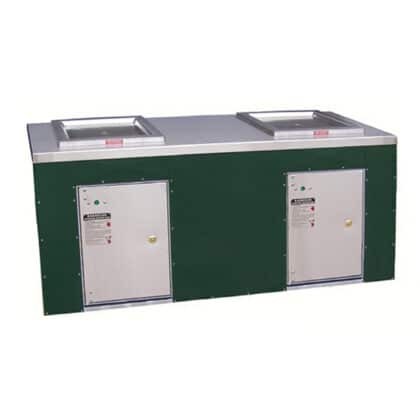 Greenplate’s products are manufactured using high quality materials and workmanship and are designed to stand up to the harsh public space environment with minimal maintenance required over the life of the product. The innovative technology behind the Greenplate range of environmentally friendly BBQs is proudly Australian and aims to provide an environmentally friendly and energy efficient range of products that reduce the carbon footprint and pass on sustainable ways of living for future generations. Greenplate BBQs will help you to achieve an environmentally responsible result. If you would like more information about Greenplate’s product warranty please contact us and request a copy of their full warranty terms and conditions. * Warranty terms and conditions apply. 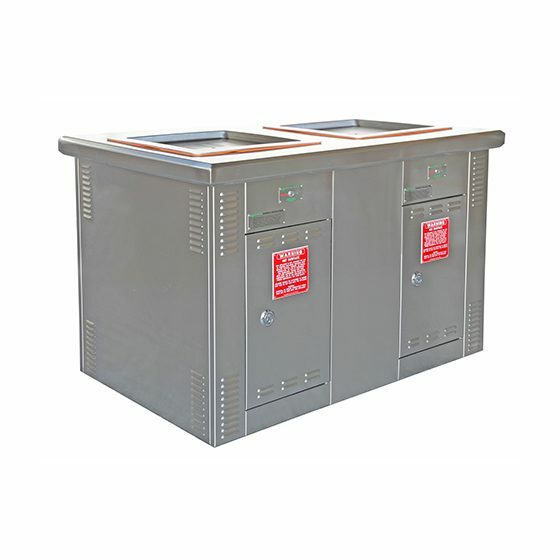 Stainless steel standalone double bench cabinet fitted with two energy efficient Greenplate® Inbench BBQs. Stainless steel standalone double cabinet extended top fitted with two energy saving efficient Greenplate® Inbench BBQs.